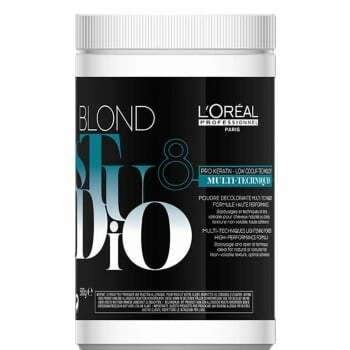 A lightening powder for up to 8 levels of lift and ideal for natural or coloured hair. Great for all lightening techniques: enclosed highlights, open air and global lightening. Pro Keratin and Low Odour.